Christian first started his creative career as a full time cartoonist under Alberto Breccia, but after understanding that illustration was his true passion he went on to study Graphic Design and Illustration at the Universidad de Buenos Aires. He has an international client list in a diversity of formats: books, magazines, advertising, TV, web, animation - making him one of the most versatile illustrators in the world. Christian has created campaigns for agencies such as Pentagram, Adam&EveDDB, BBH, Grey, Saatchi & Saatshi, AMV BBDO, JWT Worldwide and many more working for brands such as Volkswagen, IBM, Phillips, Santander, Coca Cola, McDonalds, Vodafone, Childrens Toy Foundation, World Chess Championship, Becks, Campari, Virgin media, etc. He has given lectures in Buenos Aires, Barcelona, New Delhi, London and Berlin. His style could be compared with a Lego system, simple pieces are combined in a more complex organization. 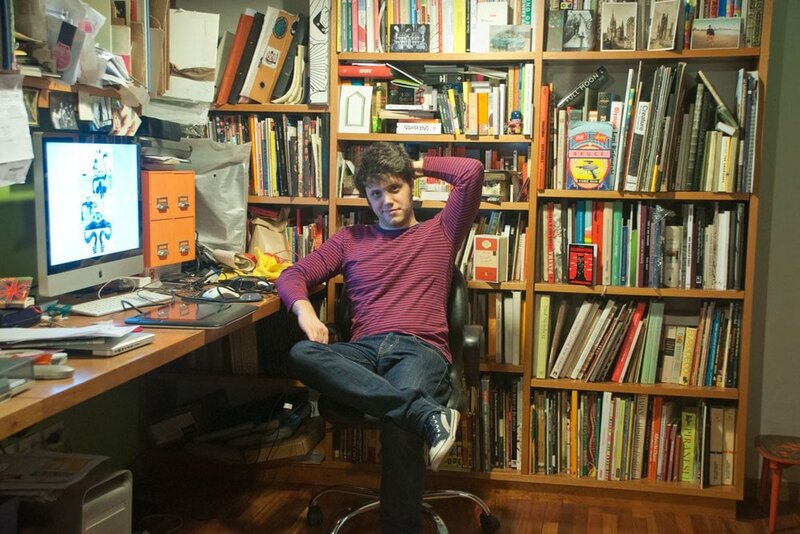 He was awarded the Swatch Special Prize of the Young Illustrator Award.